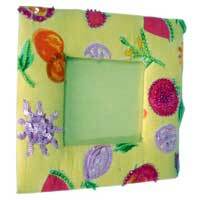 We are well-reputed as one of the dependable Decorative Fibber Handicrafts Manufacturers in India. The Fibber Handicraft Items, offered by us, are light in weight, elegant in look and requires low maintenance cost. Additionally, Eco-Friendly Fibber Handicrafts are available in different sizes and unique patterns meeting the requirement of every type of interiors.